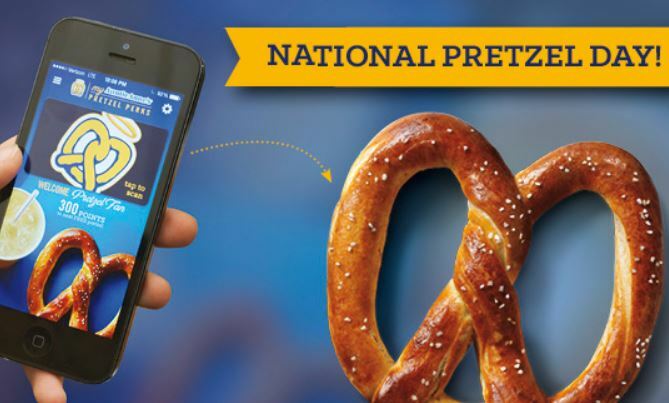 National Pretzel Day is April 26th and Auntie Anne’s is celebrating with a deliciously good deal. Buy Any Pretzel, and get a Classic Pretzel Free. Classic includes: Original Cinnamon Sugar, Sweet Almond, Sour Cream & Onion and Roasted Garlic Parmesan. To cash in on this deal you must be a My Pretzel Perks member, and the deal will appear in the rewards section of the app. Offer valid April 26th through April 29th.